If you're serious about winning the lottery then the best way to do so is to join a lottery syndicate. According to statistics on the UK National Lottery website lottery syndicates account for 1 in 5 jackpot wins. Now consider how much money the lottery has paid out in the past 20+ years – in excess of £65 billion. That averages out at around £13 billion paid out to lottery syndicates, around £650 million a year! Now we are offering lottery bettors in the UK the chance to make syndicate bets - which offer you the advantages of being in a Lottoland without your actually having to go through the hassle of making a syndicate. However, if you do want to create a syndicate with friends or colleagues then you will find a free lottery syndicate agreement form at the bottom of the page which you can download. A lottery syndicate is a group of people who have agreed to play the lottery jointly and split the winnings evenly between each member. A proper syndicate has one syndicate manager who collects money from each participant and then uses that money to make lottery ticket purchases as laid out in the lottery syndicate agreement. Who Can Join a Lottery Syndicate? Provided they are over 18 years of age anyone can play in a lottery syndicate at Lottoland. Syndicates can include friends, family, work colleagues and club members – or indeed any group of people you can get together. Syndicates can be as small or as large as you like, just remember the more members you have the more you'll have to share – but, thanks to the principal of strength in numbers, you'll also have a far greater chance of winning. In addition to increasing the odds of winning dramatically the benefits of playing in a lottery syndicate include lower costs. By playing in a syndicate not only are the wins shared equally, the cost of the playing is also split between each member. There are other reasons why lottery syndicates are so popular beyond monetary gain – syndicates bring people together. Not only are you sharing in the costs and the wins, you're also sharing in the fun and excitement. If you want to bet in a lottery syndicate then the best place to go is Lottoland because nobody else offers you the same range of different lotteries and winning options. With Lottoland you get a huge range of lotteries from all over the world meaning you can try to win a large jackpot every day of the week! The types of games vary also, with low-cost options such as the Polish Mini Lotto (at just £0.25 per line) to the massive American lotteries like PowerBall and MegaMillions which cost just a little more but offer the largest jackpots in the world. Or, if you fancy something more familiar, you'll also find enduring favourites such as the Irish Lotto. Each of our games comes with detailed information including rules, odds and a comprehensive FAQ section so don't be afraid to mix and match your lotteries and try out something new! Not only do you get more lotteries to bet on, you also get more ways to win big. With our DoubleJackpot feature you can win twice the amount of any given jackpot – an excellent way of offsetting the costs of a shared jackpot by ensuring each winner in your syndicate gets twice as much money! Plus you have a range of subscription and participation options where you can bet on the same lottery and numbers on an ongoing basis, go in hunt of those large jackpots or only get involved when the jackpot is above a specific amount. Finally, Lottoland takes all the stress and hassle out of betting on the lottery by making everything digital and automatic. No need to worry about buying then holding on to printed tickets, checking numbers and collecting wins – at Lottoland you'll be automatically notified of the winning numbers. Any wins will be credited to your user account from where you can withdraw the funds straight to your bank account. Starting a lottery syndicate is easy; just gather a group of close friends or family members together who all have a common interest in winning large amounts of cash – this step shouldn't be too difficult. Next you will need to appoint a Syndicate Manager whose duty it is to invest the funds each week into your chosen lottery draw(s). This needs to be somebody who is trustworthy and reliable – a natural organiser – somebody who will be in charge of handling the money, purchasing tickets on time and who will ultimately be the sole representative of your syndicate. Before you start operating your syndicate together, however, it's vitally important that you first create a binding agreement between all members, called a Lottery Syndicate Agreement. The agreement should first list each member and what their duties (e.g. the Syndicate Manager) are, plus how much each person will be contributing each week. It should also outline when the Syndicate was formed and when, if desired, the agreement will expire. After this is done the next step is to formalise the pay-out procedure outlining clearly what is to be done in the event of a win – how the money is to be split and exactly how much of a share each participant is entitled to. You'll also need to include clauses for members who wish to join or leave the syndicate as well as what happens in the event that a member doesn't pay into the syndicate. Sounds like a lot of paperwork right? Well, imagine you do win big but one or more members decides to dispute it claiming they're entitled to more money – now suddenly you've got a whole lot of paperwork, legal paperwork. So essentially the purpose of the agreement is to protect all members of the syndicate and to ensure maximum fairness. All members will then need to sign the document to declare that they understand, and agree with, the terms of the agreement so as to make it binding. Please note that this information is supplied as-is and if you have any specific questions on forming a legally binding agreement we urge you to first discuss it with a legal professional. Sometimes all it takes is to simply mention the word "lottery syndicate" in a crowded room, such as a pub or work canteen, in order to find willing members. It's important, however, to only accept members who are serious and dedicated, people who are going to make their payments each and every week. Still want more participants? Well, word of mouth is sometimes the best method but don't be afraid to print out some attractive flyers and post them on your work or community noticeboard. Then again all it might take is a simple Facebook post – a shout out on your wall looking for participants could easily yield a large lotto syndicate in a matter of minutes. 1. Once all members have joined and signed the agreement the Syndicate Manager needs to register an account at Lottoland.co.uk. 2. When the money has been collected the Syndicate Manager then bets on the lotto(s) of choice on the syndicate's behalf. 3. Any winnings will then be credited to the Syndicate Manager's Lottoland account which can then be withdrawn to his/her bank account to be split between each member. It's like we always say – the trick to winning the lottery is consistency. The odds can be high, especially for higher prizes, but these odds can be reduced dramatically over time. Indeed when you hear of lottery syndicate winners it's almost always the case that the syndicate had been running like clockwork for a significant period of time before finally hitting the jackpot. Another way to increase your chances of winning – and of particular benefit to syndicate members – is the use of system entries, which we refer to as System Bets. This type of bet allows you to enter more than the standard amount of numbers in multiple combinations increasing your odds of winning exponentially. Granted the cost to bet is higher, though obviously this cost can be easily offset by having multiple syndicate members pooling their money. 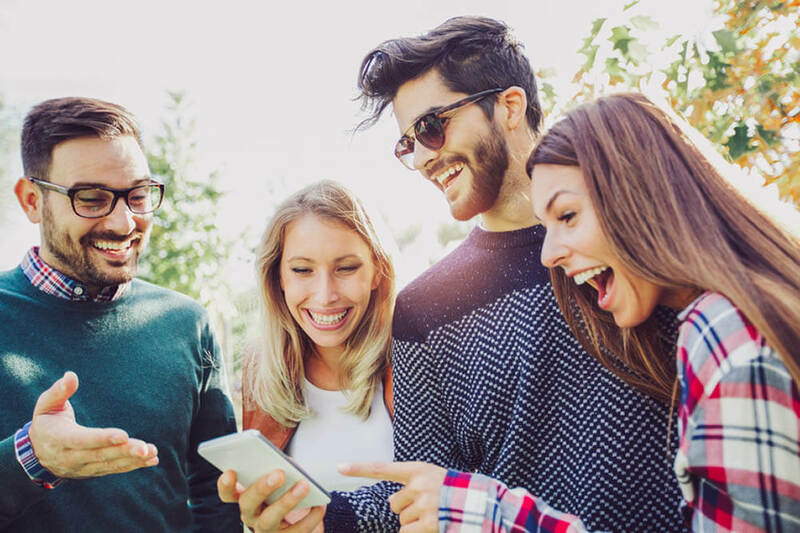 Lottery syndicates are not only a proven way of winning the lottery they're also lots of fun and a great way of bringing people together in pursuit of a shared goal. After all who doesn't want to have more fun – and more money – and to share that happiness and enjoyment with their best friends? 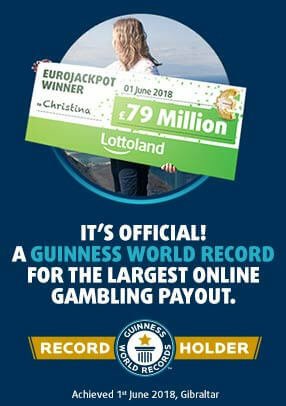 One of our main goals here at Lottoland is to make betting on the lottery easier. So check out this groovy guide from Lottoland UK. It comes in PDF format so it's easy to download and view and print anywhere! 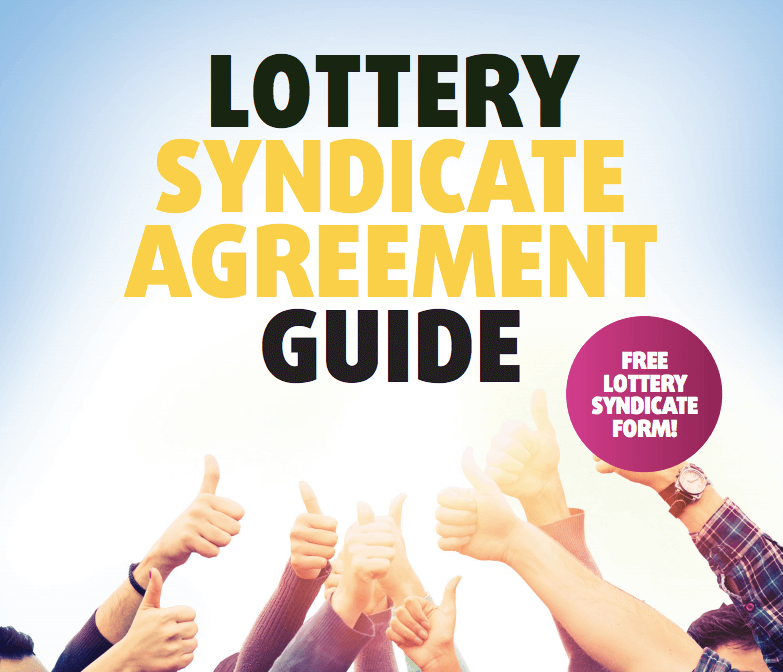 As well as providing an excellent overview on how lottery syndicates work there's also a handy Lottery Syndicate Agreement form with full instructions plus on how to use it plus detailed advice on starting your very own lottery syndicate today!